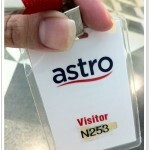 FREE 3 F&B Vouchers per ticket!! Be a part of Kuala Lumpur s MOST HEART THROBBING, VISUALLY STIMULATING and MAGNIFICENT countdown party of the decade to welcome 2008!! 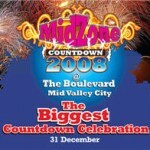 MidZone Countdown 2008 is the MOST ANTICIPATED New Year Eve celebration in Kuala Lumpur. A FIRST to marry choreographed fireworks display with pulsating dance, and it is Fireworks Artistry at its Best ! Featuring a SPECTACULAR line-up of International DJs  DJ Stoneface & Terminal (Euphonic, Germany), DJ Matthew White (Hungary) and VJ SORT (Kagawa, Japan) and many more, MidZone Countdown 2008 will be a phenomenal WORLD-CLASS experience that will blast your every nerve and send your body craving for MORE! Come, have the best of 2007 immortalized in your minds @ The Boulevard Mid Valley City on the 31st December 2007. Gates open from 7pm till late!